We had the preview yesterday, which mentioned a few details kindly translated by BlackKite, and now the full edition of Weekly Famitsu is out with all of the details. I'm having a lot of fun trying to translate it all from my mobile phone screen after an all-nighter so please excuse any weird mistakes. 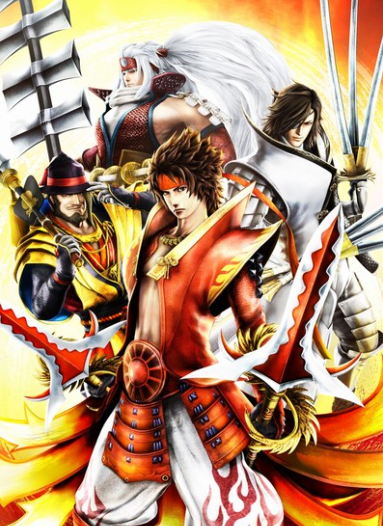 The release date for Sengoku Basara: Sanada Yukimura-den has been brought forward to 25th August 2016 in Japan (it was previously confirmed for September). It will cost ¥6,990 (¥7,549 with tax), or ¥6,472 (¥6,990 with tax) for the download version, and its CERO age rating is B (12+). Presumably the pricing is the same on PS3 and PS4 since both versions are still listed. The game's cover artwork has also been confirmed. 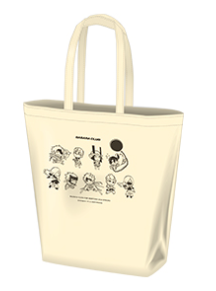 The are also special limited edition bonuses! Fans who order the game through e-Capcom (Japan-only) can get special figurines of Benmaru and Bontenmaru with their purchase, along with a special 'Yukimura-kun Ver.' costume for Benmaru in the game. 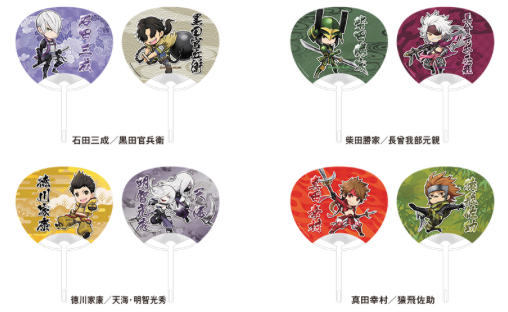 Yukimura-kun is the rounded mascot character we sometimes see at official events. There will also be another limited quantity bonus in the form of a special outfit for Yukimura; the 'White Cross Ver.' is a white jinbaori like the one Masamune wears in the game. The outfit will be accompanied by a novel titled Genpuku: Sanada Yukimura ('Coming Of Age: Sanada Yukimura') which will be 32-pages in length. 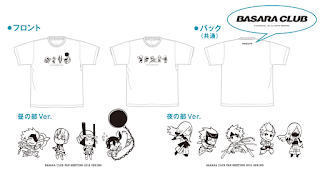 There's a very important footnote which reveals that they plan to make Benmaru's Yukimura-kun costume available as paid DLC in the future, and that other game stores may well have bonuses too. More details about the novel will be available on the game's official website in a few hours. The two new playable characters revealed in the article are the younger versions of Yukimura and Masamune; Benmaru and Bontenmaru, as previously leaked. They have different move sets to the older versions of the characters and are intended to provide a fresh experience. Benmaru is described as having a direct personality and a great deal of respect for his father and older brother. He has a form of Yukimura's new 'Heavenly Wings' mode where he darts around lunging at enemies consecutively if the player times the buttonpresses correctly, and there are also previews of two of his regular attacks (not R2 specials). Rokusou Tobi 六そう跳び ('Six Linked Leaps'): Benmaru flips and delivers an energetic dash attack. It can be used to launch lined-up enemies facing Benmaru all at once, or chained with other moves. Kurenaigeri 紅蹴り ('Crimson Kick'): Benmaru starts with a surge of chained thrusts then follows up with a powerful kick. By bashing the normal attack button, the number of thrusts is increased. Update: For some reason, the move called Kurenaigeri 紅蹴り ('Crimson Kick') in Weekly Famitsu and on the game's official website is labelled Tomotsuki 灯突き ('Torch Thrust') in some website press releases like this one on the official Capcom news page. I'm guessing this is an error but I have absolutely no idea which is correct. A preview is also shown of his Basara move. Benmaru powefully readies his spear and unleashes a furious blazing fire. He then signals the heavens with a great swing of his spear, creating a huge explosion. Even at this age Bontenmaru is conscious of his position as Oushuu's ruler, having been constantly disciplined by his retainer Katakura Kojuurou. He starts to recognise Benmaru as his 'rival' after the two of them meet as children. When the button is held down, Bontenmaru enters Bousou ('Rampage') mode and becomes stronger and faster than usual. You need to keep playing aggressively to maintain this mode. Bontenmaru can turn his regular blows into 'tyrant' attacks by holding the button down right after they're performed. 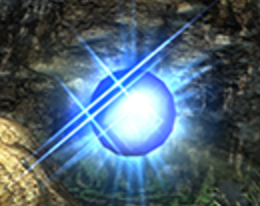 This will let you follow up with further attacks and as you chain them, a blue aura will appear which indicates 'Rampage' mode and lets you hammer your opponent with combos. Gekirin 逆鱗 ('Wrath Of The Emperor'): A chained attack with a slide to juggle the enemy followed by a kick. As it instantly closes the distance between Bontenmaru and the enemy, it makes a useful opening attack. Ranbi 乱尾 ('Rebellious Tail'): Attacking the enemy countless times with the wooden sword, Bontenmaru finishes by sending them flying with a rowdy kick. It doesn't work on nearby enemies and they won't be hit by the move, but when it connects the destructive force is exceptional. His Basara move is previewed too. Bontenmaru gathers his power and unleashes a sweeping chain of attacks, causing a great amount of damage to all of the surrounding enemies. There are a few updates on the story, too. The main story will unfold across ten chapters, which will cover Yukimura's childhood, his time as a young man and then finally, the Osaka Summer Siege. The two men have a fateful encounter with one another during their childhoods. After Tenmokuzan, the Sanada clan find themselves tangling with various other warriors, and thus some additional stages are confirmed. The two youngsters have their destined meeting in Oushuu. Masayuki takes Benmaru to Oushuu for special training which has been passed down through the Sanada clan for generations. They're surrounded by enemies when suddenly, Bontenmaru barges in. Stage: Benmaru and Bontenmaru compete on the battlefield!? Many regular soldiers appear on this stage. The pair are competing to prove their strength, and rushing deeper into the battlefield. The player controls both characters alternately to reach the objective. The wicked hands of the Houjou clan pursue the Sanada clan. The 'Demon King' Oda Nobunaga wasn't the only one who coveted the land of Ueda. Houjou Ujiyasu suppressed the Sanada clan in an attempt to impress Nobunaga and secure the continuation of his own clan. After Tenmokuzan, the Sanada clan are in the process of returning to Ueda Castle when they're surrounded by the Houjou forces. Masayuki calmly thinks of a 'certain plan', but can the Sanada family pull it off and escape their predicament? Stage: Gather the Houjou clan flags bathed in the mist. It's a misty, mountainous stage. Masayuki directs his two sons to gather up enemy flags. It would seem that there are six flags to collect. But there are also fake flags! You control all three characters: Yukimura, Masayuki and Nobuyuki. Fuuma Kotarou appears as an enemy in this stage, and he's got a flag. He's described as 'tough'. Houjou Ujimasa appears too, of course. Tokugawa Ieyasu invades Ueda Castle! Judging that the Sanada clan's power is flagging in all of the turmoil, Tokugawa Ieyasu takes his retainer Honda Tadakatsu and clamours for Masayuki and Nobuyuki to surrender Ueda Castle. Meanwhile, Yukimura senses that the castle is in danger and bears witness to a 'certain scene' as he rushes to assist. Can Masayuki and Nobuyuki protect Ueda Castle from Ieyasu's forces? Will Yukimura arrive in time to back them up? Stage: Spur your horse on and make haste to your father and brother! It's a stage where you control Yukimura and have to rush towards Ueda Castle. Enemies will try to obstruct you. You can pick up 'acceleration carrots' to boost your horse's speed. System: Break through a challenging situation with 'Sanada Blood'! Masayuki and Nobuyuki are defending the castle. The player can freely switch between the two of them using a character swapping feature called 'Sanada Blood'. There's a white L2 mark in one of the screenshots of Masayuki which switches the player so they're controlling Nobuyuki instead (and vice versa). There's some kind of red-yellow gauge on the right of the screen during the Ueda Castle defense segments but it's too small to work out what's going on yet. The Sanada Blood indicator is easy to spot as it's highlighted with a splatter of blood. The other important new gameplay feature is powering up your characters with a new Bushin ('Braveheart') system mid-battle, which is designed to encourage you to play aggressively and rack up a lot of kills. As you play and gather Bushin, the gauge in the bottom left corner of the screen fills. Each time the gauge fills completely your Bushin Renma ('Braveheart Refinement') level will increase and strengthen your character, increasing their damage dealt, reducing their damage taken and allowing them to use additional skills. 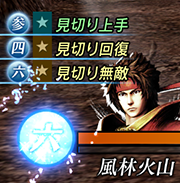 In the example shown in the magazine, the numbered list overlapping with Yukimura's portrait in the bottom left displays the upgrades he can unlock with Bushin. The third, fourth and sixth levels all unleash skills, so by the time he's raised his Bushin Renma level from one to six he'll have activated a total of three skills. The skills shown in the screenshots are named Desertion Proficiency, Desertion Heal and Desertion Invincibility, so I think we can assume these are upgrades which let Yukimura gain bonus effects when he performs a 'desertion' dodge. You can see the skills light up in the list when you have raised your level high enough to activate them. To accumulate Bushin, look for enemies with a blue health bar and single them out. By defeating these enemies you'll gradually increase your gauge. In addition, you can find 'Telepathy Spheres' strewn across the stage. If you pick these up and press L1 and R1 together, you'll activate Bushin Denshin mode ('Braveheart Telepathy'). For a limited time, all enemies will give Bushin. The kill counter is tracking monsen coins, not kills. There's a mission pop-up panel in the top right, indicating that the stages have missions which change as you play. Yukimura has a move called Fuurinkazan under his Basara gauge, where L2 moves are displayed in Sengoku Basara 4 Sumeragi. Is this the name of one of his unlockable moves? It's showing up even when his Braveheart gauge is at level one. New move names can also be seen in that location for Masayuki and Nobuyuki except the pictures are too small to read them. A lot of people are acting like Bontenmaru and Benmaru are the final playable characters, but while I know they said there won't be many they haven't ever actually confirmed that we're done with character announcements already. Or did I miss something? We can safely assume that the Osaka Summer Siege is in the list too but the site only lists these four chapters at the moment. They're numbered 1-4 so I'm going to go ahead and assume they're the first four chapters of the game. The system page on the website clarifies that each character has normal moves, unique skills and a Basara move - so nothing out of the ordinary for the Sengoku Basara series. Masayuki: Masayuki summons a statue of the Sanada clan's former lord Takeda Shingen. While Masayuki narrates a tale of Shingen's lifelong accomplishments, the statue uses its unusually destructive blazing fists to smash everything in sight to smithereens. Nobuyuki: Living up to his title as the 'Lion of Shinano', Nobuyuki lets out a ferocious roar which shakes the ground, his hair disheveled. After that, he lunges, spinning his spear in a figure eight shape and dynamically ploughing through anything it touches. Still nothing on grown-up Masamune's move list. Reminder: The first Sanada Yukimura-den live stream is today! I mentioned this last Friday but we're now just a few hours away from tonight's hour-long Nico Nico broadcast about Sengoku Basara: Sanada Yukimura-den. The stream can be watched here and it starts at 20:00 Japan time. 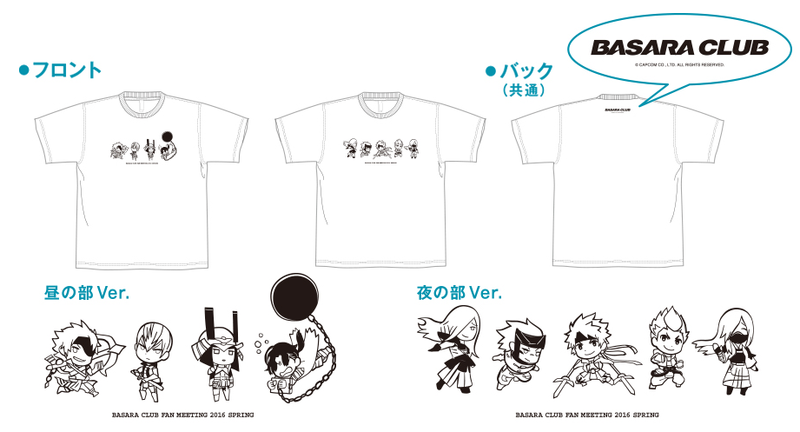 A generous range of new merchandise items have been previewed on the official website for the upcoming Basara Club Fan Meeting 2016 Spring events on Saturday 28th May 2016. 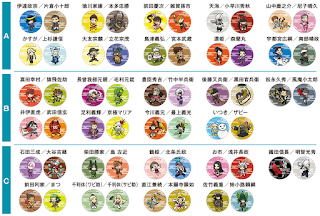 Those badges are amazing - there are so many characters to choose from! 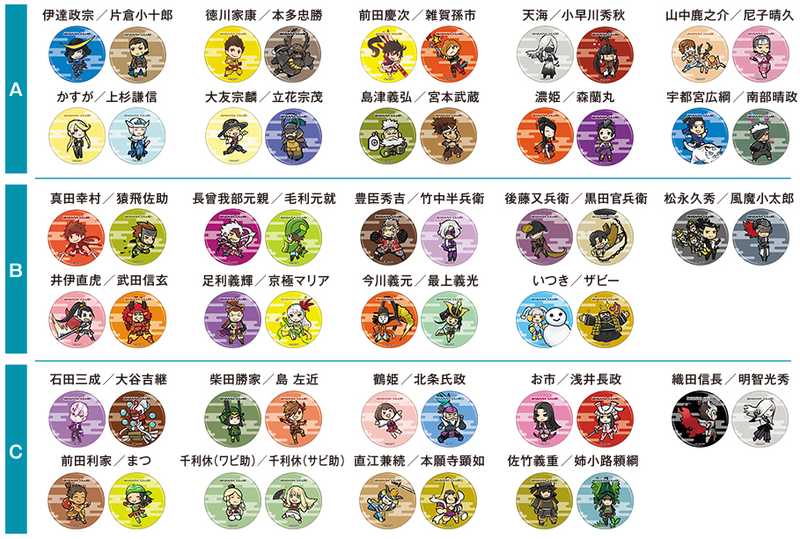 The rest of the merchandise favours the characters whose actors are appearing at the events but the badges include everyone; it's a pity they're event-only. To commemorate the tickets going on sale, the play's organisers released a new trailer showing Keiji, Magoichi and Kojuurou posing in costume for a photo shoot. Glimpses of Kenshin, Rikyuu and Motochika's crewmates can be found on Twitter too, so I'm guessing we'll see them in a trailer in the near future! Update 22nd May: I have updated this post with a few extra details from the subsequent website update to keep everything in one place. This is So awesome addind KId Masamune and Yukimura makes me wish the game comes out in July. Well, Bontenmaru was kinda teased already in Sumeragi, I'm happy they are going through with him. And that the movesets of these children will be different as it gives me hope for them also looking different than their grown-up versions. I felt really weird when in Samurai Warriors 4 small Yukimura and Nobuyuki looked almost identical to their grown versions and even had the same weapons, only wooden. You're right, those badges are awesome, they even made some with area warlords from 3 and forgotten characters like Nouhime, Itsuki or Kennyo! I'm a bit relieved they're event-only, as I would probably buy them all and then never use for anything. I'm not sure what to say about the game updates this time... I like Bonten and Ben's designs I guess? And it's good to see Ujimasa again! I'm just kinda underwhelmed compared to the info batch with Masayuki and Nobuyuki, I suppose, especially given the confirmation with this "Oushuu trip" that the dev team is cherrypicking what's actually okay to not be "historical" or not. I'm sorry, I don't mean to dampen anyone's excitement for the game, I'm just very disappointed with how it's turning out. Really glad they're doing these behind the scenes things for the stage play, it's really cool! I mean, has someone seen it?? Soooo, a lot of characters! I like Bontenmaru and Benmaru, the new system game is interesting. Oda Nobunaga, Akechi Mitsuhide, Maeda Toshiie, Shibata Katsuie, Tokugawa Ieyasu, Honda Tadakatsu, KATAKURA KOJUUROU, HOUJOU UJIMASA, FUUMA KOTAROU (this last one was unexpected), TOYOTOMI HIDEYOSHI, TAKENAKA HANBEI, AND ISHIDA MITSUNARI!!! And I like the way they're presenting the history here!! Fuuma's shadow doubles technique made me thinking it's actually Sasuke in disguise. And Yay to Ujimasa's return ^_^. Now gimme Kanbee and Matabee and we're all set! On the other hand, I couldn't help chuckling a little with Bontenmaru's voice... Kazuya Nakai's voice doesn't change almost at all. But with Benmaru's... How was Hoshi be able to do that voice?? O_____o I mean, it sounds like a real kid!! -The missions this time are very particular: they are a lot different from previous games!! And they're not so similar between them. I really like this: you have to do very varied things in this game. -Yukimura wears his "Hi no Kaku" attire most of the time... Even during Odawara. So, does his "Phoenix" costume appears at the end of the game? That's cool! It gives then a very good feeling when you finally get to see this awesome costume. -So, in order to save Masamune's life from Hideyoshi, Yukimura promises he will serve Toyotomi clan in Odawara? I like that story! !